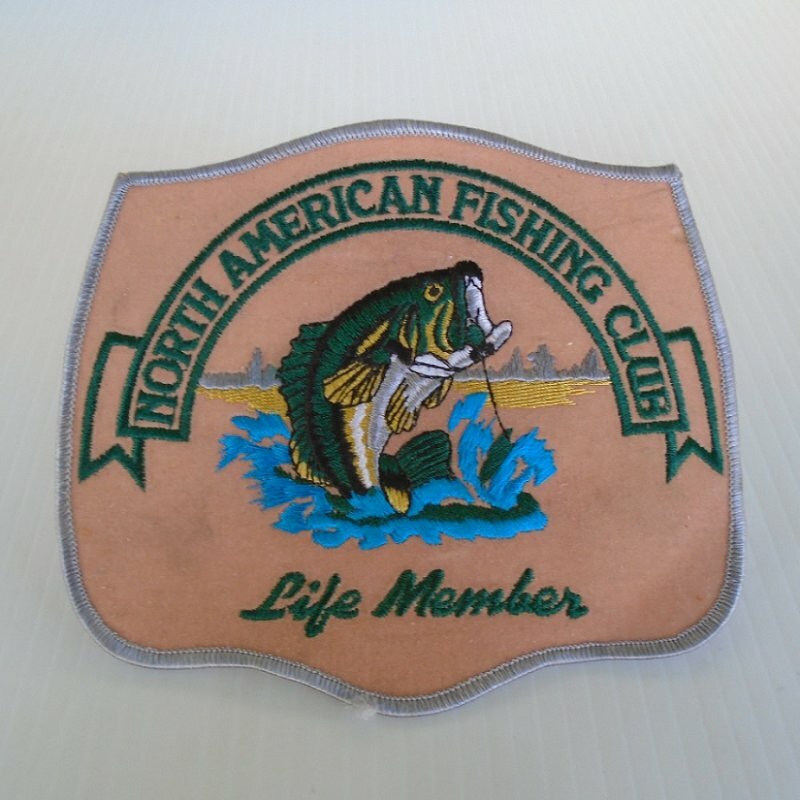 Large 6 by 5 inch patch for North American Fishing Club Life Member. Soft felt. Never used or applied. Sew on or iron on. Large size patch measuring six by five inches. It's in celebration of being a life member of the North American Fishing Club. The patch is made of a soft felt type of material. It has never been used. It can be sewn on or ironed on. The condition is very good, but is very slightly dingy from sitting in a drawer for many years. Delivery will be via USPS First Class Mail from California. Buyer to pay delivery charges of $2.50.